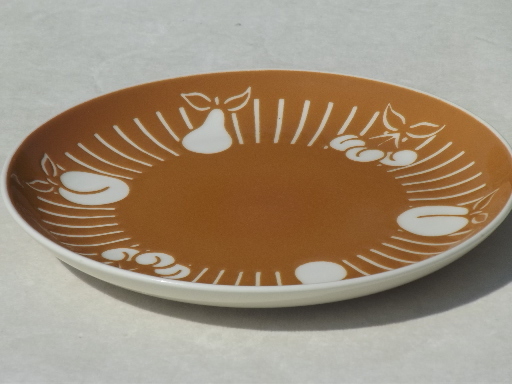 Vintage Harkerware plate (salad plate size, about 7 1/4" in diameter). 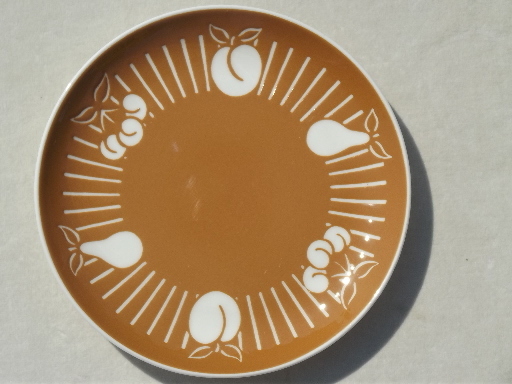 This is cameo ware with a fruit pattern, brown and creamy white. 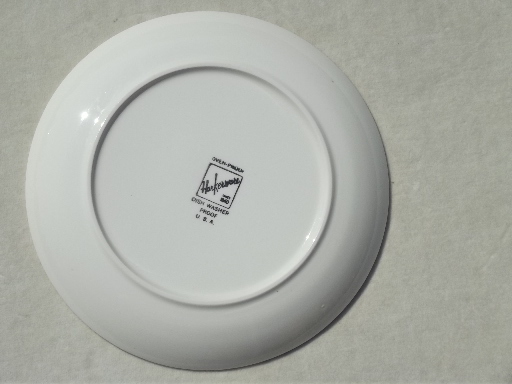 There&apos;s a few light utensil marks to the surface, but no chips or cracks.